Friends I have a life hack for you that is the life hack of life hacks. That is, if you eat berries or fruit for that matter. Like most moms, I spend 95% of my life fighting with my children over what food they will or will not eat. One day they like this and the next day, they like that. One food group (yes, I have dubbed it an entire grouping) my kids get pumped about no matter what is berries. Of course it is berries. Why would we not choose the most expensive fruit in the produce section to be our favorite? Nonetheless, the kids love them! Every week when I do my grocery shopping I buy at least 4-5 lbs. of berries of some sort. Because my kids do not discriminate against any berry, I go for what is cheapest or on sale that week. The biggest problem with buying this many berries? Keeping them fresh. It seems like after about 3-4 days of them sitting in the fridge, they start looking dull and mushy. But, I have a hack that has cured this little problem in our house. With these few tips, I have been able to keep our berries fresh for at least a week, sometimes even longer! 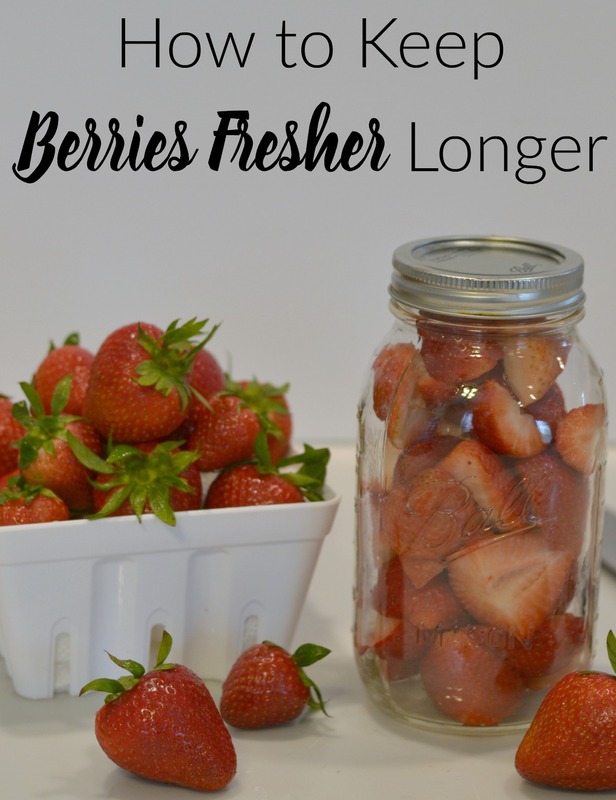 Here is how to keep berries fresher, longer! First things first, when you are shopping for your berries be very picky. I always pull from the bottom and from the back. Grocery stores tend to put the newest produce toward the back to get rid of the items that have been sitting for a while. Make sure when choosing you do not see any soft spots. After you are home, it is time to prep your berries. Here is what you need! First you have to soak your berries! 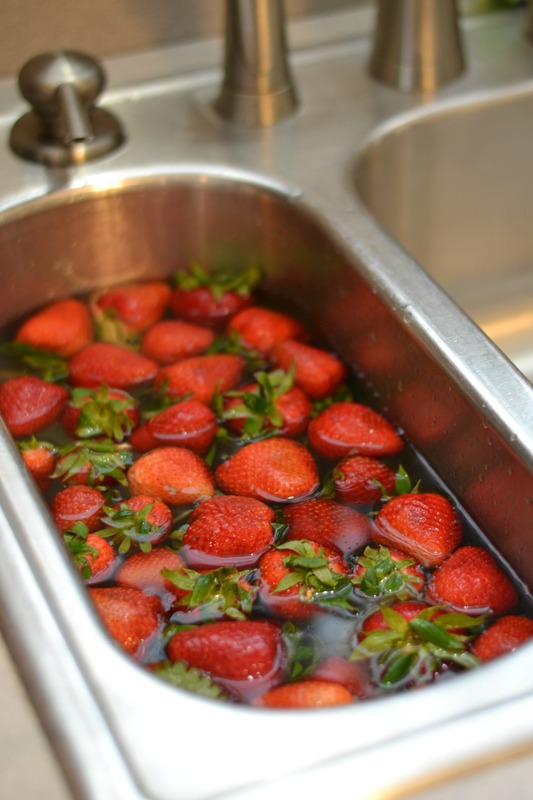 Fill up your sink about half way, pour in the vinegar and then your berries. Let them sit for at least 10 minutes. I usually mix them around to make sure all sides are covered. After they soak drain your water and return them to the original carton. After your berries are clean it is time to prep them to be stored. I always cut the end off and then cut them in half. 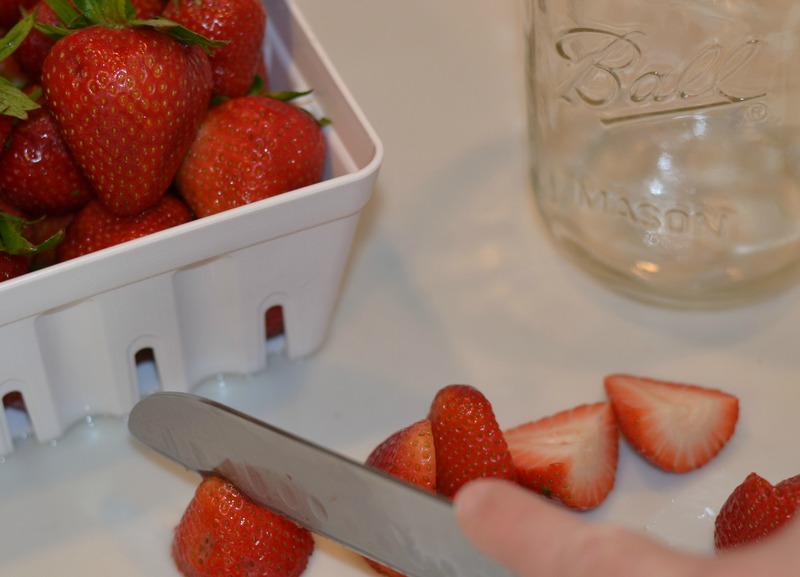 Be sure to remove any “yucky” spots to make sure you are only putting the best berries into the jar. 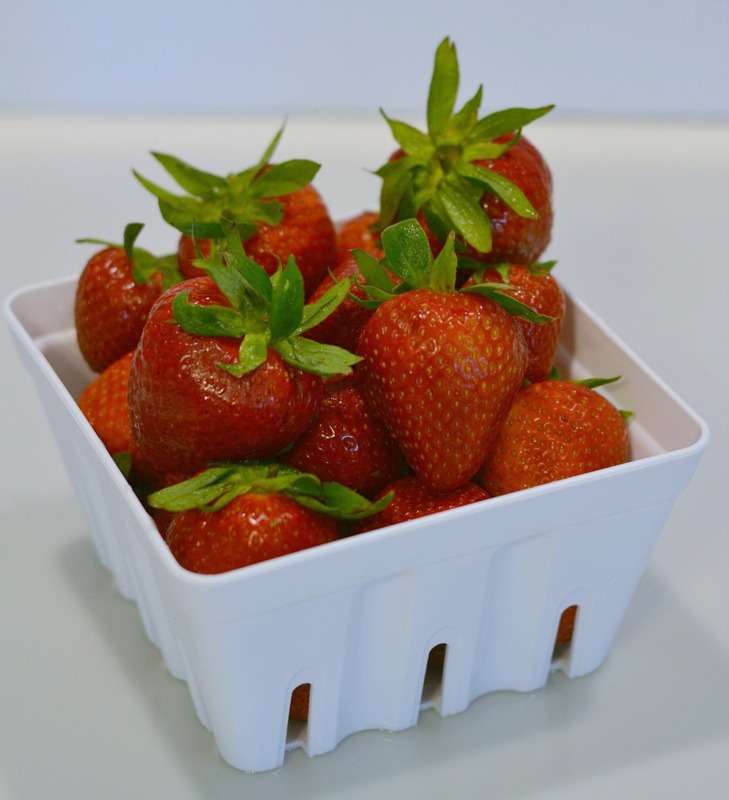 This will help to make sure your berries remain fresh. 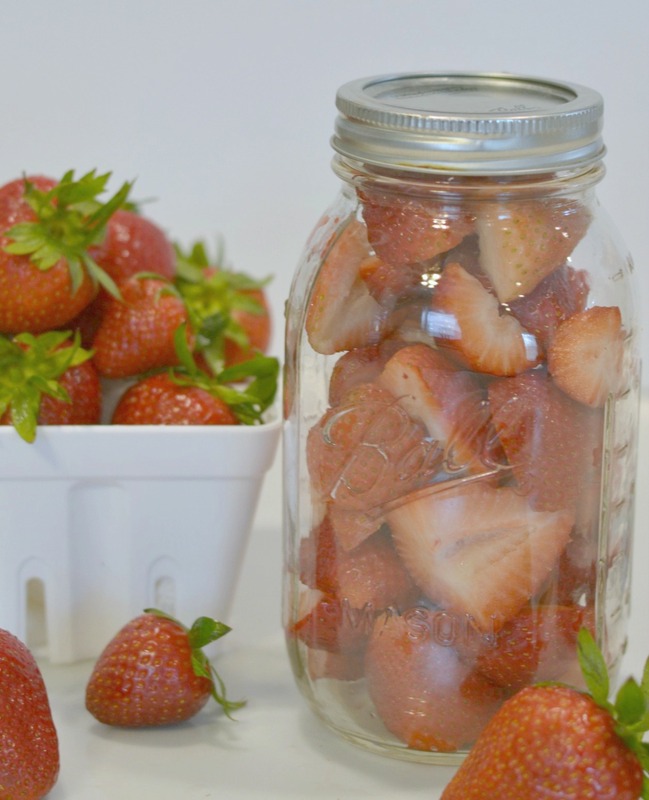 Once your berries are sliced, toss them into your mason jars and seal them tight to help keep air out. It is important to use the mason jars. I have tried Tupperware and other storage options but nothing works better than the mason jar! This hack has not only helped keep picky eaters happy, it has saved me money by keeping me from throwing away fruit thats gone bad. Another awesome thing about storing my berries like this is that they are always ready to go. I can easily pour them onto plates or into lunch boxes. The prep work is done and time is saved. These tips also work with fruit such as grapes, apples, pears, peaches, plums etc. Basically if you can eat the skin of the fruit this will work! 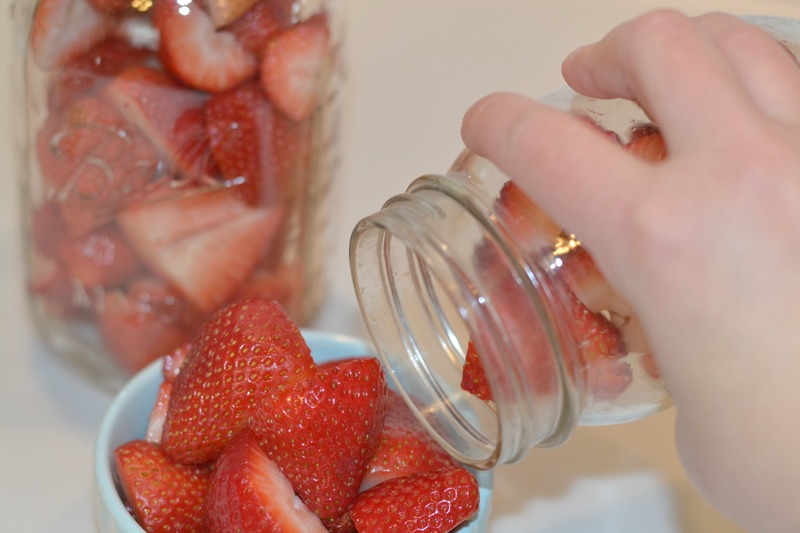 You do not have to store all fruits in the jars but soaking them will help increase their freshness! Do you have any life hacks that have made your Mom life easier? Let us know. If you liked this post you should check this one out as well, Feeding the Toddler: A Week of Smoothies from Stephanie at Olive and Tate. She awesome at sneaking fruits and veggies into her toddler’s diet. Her recipes are so yummy I’m going to try them for myself! Great tips!!!! Thank you!! I’m pretty sure all Palmer wants to eat is berries and cheese!! Lol. Kids. Such an awesome hack! I also find myself throwing away berries after not too long. Do you find that the apple cider vinegar changes the taste at all? Is the vinegar what makes the berries last longer? Thanks in advance! Do you need to add the apple cider vinegar?